My love for writing comes as no surprise to you. From the special joy of writing with a classic cartridge pen to my thoughts on sending a meaningful thank you note, I have shared with you more than once how much writing means to me. It appears that several of you share my sentiments. When I recently posted about how important it is to set aside time to write words of encouragement, a number of you shared how you love to keep stationery on hand for such occasions. One reader, Carmel, explained that she keeps a calendar marked with the special people in her life that she wants to take time to write to. What a thoughtful way to keep yourself from neglecting loved ones in this busy world! Another reader, Linda, explained that she sets aside time at her desk each morning for her correspondence. “I feel as though I’m talking to the person I’m writing to and the miles between us melt away,” she wrote. Amid the blur of social media and e-mail communication, we forget that a written note, which you can hold in your hands, keep, and reread again later deepens our ties to one another and draws us together in a special, lasting way. Reading about your love for writing notes makes me especially excited to share a giveaway from Figments Studio. Their stationery, cards, and journals have a lovely, classic look. And they are sharing one of their beautiful journals as well as an inkwell penholder and ballpoint feather pen with one lucky winner. Inspired by Grimm’s Fairy Tales and historical art and architecture, the collection was designed by Figments Studio founder Jill Marie Crvich. Would love to give the Christmas tree stamp to my sister for Christmas this year. Her family lives and works on a farm, therefore she has a fairly permanent address! She also sends out more than 60 cards each year, so it would be well worth it. I’m planning on purchasing one for my family once we are settled in one spot. It’s such a beautiful and environmentally friendly option! While we are so fortunate to live in an age of technology, it is crucial to also continue graceful traditions such as letter writing and journal writing (or any kind of writing for that matter!) by hand. There is no email or text that can replace the experience of going to your mailbox and finding an unexpected letter or even an expected thank you note. When you open the envelope, see the carefully chosen stationery and read the carefully chosen words expressing the experiences and emotions of the author in their own handwriting, it is such a lovely, personal moment. Even more so to be the author and to choose the stationery and words, to set the atmosphere with lovely music or tea, to take the time with your handwriting to honor the words and reader. It’s something I’ve taught both of my children to appreciate and enjoy. From the earliest age no gift could be used without first promptly sending your handwritten thank you expressing your appreciation and gratitude for the gift. Emailing and texting quickly dispense information and are so wonderfully handy. Writing by hand creates a deeper emotional connection to what’s being written and makes it an experience. I have always written ,starting from the time I was little I would make up stories and try to write them down. I had a pen pal she I was 9 and my aunt gave me my first diary when I was 8 which I wrote in. it all started a love of writing letters and corresponding with many people through the mail. There is nothing like getting a real letter in the mail and reading it. No matter how modern we get letters are a special thing. I have written a poem for each of my grandchildren and great grandchildren (20). One was used as a birth announcement..some I must still pen into a specially made.journal. One,was framed and put with the couples photo,when they,were married on their table., although I have tried to keep these very private. They are as different in style etc just as each one is different. I started doing this for,each.of my children when they were little. A time written note, letter, or card is so touching that I can’t bear to part with it….. I enjoy responding with my calligraphy and beautiful stationery. I have all my grandmother’s treasured letters who by the way was a postmaster in Kentucky for 40 years. Such fond memories! I am continuing the tradition- thank you. Thank you for hosting this lovely giveaway! For over a decade now, I have written weekly letters to various friends and family members. It has become a tradition. A sacred ritual, which allows my mind to still and soul relax as I collect and arrange my thoughts on paper. In fact, hand-written correspondence is so important to me that I recently wrote a blog post titled 7 Reasons to Revive the Dying Art of Letter Writing. My favorite reason on that list is number seven–it connects us to the future. There’s a reason people save old letters rather than old e-mails. Letters retain a tangible piece of the person who penned them, even after that person is gone. Not simply their words, but their hearts expressed through those words. Their state of mind and personality reflected in each unique stroke of the pen. In the years to come, our grandchildren might want to read a letter we wrote. Hold it in their hands. Tell stories. Remember. Who are we to deny our progeny such a treasure? Nothing can replace a personal note handwritten! It shows care and warmth much more than social media. I love the Journal, pen and ink! I’ve had a stroke and have found that I find it easier to write with a fountain pen. Thanks to my husband, I have several. Its one of my favorite things. Whenever I write I love using my fountain pens. I also like writing down things I’d like to remember. Its so much nicer to look back on. I enjoy having a cup of tea and reading! Enjoy your posts too! Our son was recently diagnosed with cancer and just yesterday I received a lovely card in the mail. We appreciate the emails and text messages, of course, but somehow, to hold a tangible card in my hand was somehow more inspiring. I can remember getting simple postcards from my mother. She could write more on a postcard than anyone I’ve ever known! I fear written correspondence and even verbal conversations are falling to the wayside in our digital age. Please do enter me in this wonderful opportunity. What a lovely giveaway! Nothing will ever replace a handwritten, personal note. I love writing cards to friends and family just to connect and to avoid the constant use of email and social media. My mother was a letter writer and she wrote to my three brothers and me every week until the week she died. I have the letters she wrote to her family as a college student and young married woman. I keep a list of birthdays and anniversaries so that I can send off a note with my best wishes. I do enjoy getting out my paper and pen and just sharing my heart with people. It is my ministry to let sick people know I am thinking of them and praying that they are soon be well. I write. No text or emails on anything of importance. I as many learned the proper letter, thank you note etiquette in school. My love for stationary, pretty cards has never waned. I save my correspondence that I receive and re read them. Was just considering to ordering one of these journals to use in my prayer journaling! The Prayer journals are wonderful. Good to encourage young girls. They may check back and find that they actually have met some men thst would make a Godly husband whom they have prayed for. It helps to re read and recognize some of it. I have sent thank you notes and postcards to family and friends since I could draw. My parents penned the words until I learned to write. I still hand write cards and letters. I hope the receiver recognizes how much I care about them and thank them for their thoughtful gesture. Through the act of gratitude, I realize how much I am loved by others. My parents passed away 10 weeks apart…14 years ago. My mom had a stroke at the age of 62 – which left her unable to speak and/or write for the last 10 years of her life. You can just imagine how very, very special any and all things that I still come across with her handwriting on, are to me. Letters are such a pleasant thing to receive via our mailboxes in this hurry, hurry world. What wonderful memories everyone has to share. Hand written letters to me are a memory of my aunt Beulah. She kept a lovely home for my uncle and her son. There was always a pie in the cupboard and something delicious cooking in the oven for dinner. A visit to her house was a real treat. Moreover, receiving a letter from her was equally as enchanting. The pages would spill out over a number of days like a journal of her activities. The ink colors would change periodically and with her tales of “the latest news” you could envision her daily routine which to me was anything but routine. She has been gone now for a number of years, but I think of her often and miss her deeply. I aspire to be as she was; taking every effort to write a note when possible. To me there is nothing nicer than a letter waiting in your mailbox from some you love across the miles. As always, thank you Phyllis. I, too, am so glad to hear that personal letter writing is making a comeback. It is so refreshing to hear that so many share that sentiment. Life is so fleeting and taking a moment to write a personal note means so much more to the recipient that an email. 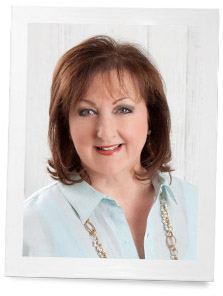 Thank you, Phyllis, for bringing so much joy to our lives through your blog. I really don’t know how I could add anything that has not already been relayed through each response. Thank you, Phyllis. Writing…I truly love it. Every handwritten letter, note, or card I receive drenches my heart and soul with shear delight. Pure joy…nothing less. What an honor it is to be included in this generous give away. Thank you. When my mom passed away I was looking through an old toy box filled with family pictures to give to the funeral home. I came upon a letter written to Mom from my cousin Carole. The note was just an hello, with updates on how her son was getting into everything because Phil was learning how to walk. It was so sweet to see a handwritten note it made me nostalgic for those seemingly long ago days when people wrote notes and called people on the phone. It has made me more self conscientious in how I communicate to others! What a lovely give a way! I’ve written many times about the connection one has with another through the handwritten note. My mother and grandmother taught me how special the handwritten not really is. And when Nana passed, we found my childhood notes and thank yous all saved in her drawer too. These kind thoughts and words pass down many generations. Letter writing is so much more personal than an e-mail. You can reread a written letter over and over. When my mother lives too far to visit and I can’t touch her hand and tell her I love her, a personal letter with a squirt of perfume and a pretty color pen write the words I would have said, make her day. Better than getting a bill in the mail. I love this: I remember putting a squirt on perfume on letters to Mom. In my domed antique trunk are stored my grandparents love letters from 1918 before they married and my grandmother’s love of her life was working in the logging camp. My trunk also keeps safe letters my now 90 year old mother and I wrote to each other when she lived in Arizona and I was back home in the Midwest. When my daughter lived in California, she would send post cards she designed to me and scrapbooking cards of long ago photographs of the two of us. So special. Now my granddaughter lives in the state of Washington and sends me her wonderfully creative cookies with hand written notes. So writing is a shared love throughout generations. As for myself, I have been journaling since I was very young and just turned 70 years old on October 8. I would love to have this lovely journal and pen to add to our treasures in the trunk. Germany in the summers I would anticipate all the little airmail letters from her….always loved the feeling of the airmail stationery and the foreign stamps….and again…the perfect little penmanship. Then as a sweetheart and receiving letters from my “fiancee” when he was in Vietnam….all the years ago…. What a treat to be remembered with a letter or card from down the street, abroad or across the seas from someone in danger. I guess that sums it up for me….I can still see those letters in my minds eye…nothing an email could duplicate. Those treasured letters will be found one day and be honoured as heirlooms. What a great give-away! There are very few things better than receiving a hand written note in the mail. It is indeed a treat! Words are a reflection of your heart.♡ I love writing and also receiving hand written letters and cards. The words not only make an impression on my heart. There is nothing like opening my big trunk and going through old love letters, reading the sentiments of a loved one who has passed on and seeing their handwriting. Writing letters gives us an opportunity toexpress our gratitude and appreciation for aanother individual. For a moment we are transported from a focus on self~to a focus on the goodness of another. Letters are an heirloom. I have a letter from my father to my mother when he was in the military in the 40’s, framed on my “family” wall. Yes: the heirloom letters. Thank you for reminding. I do all my writing with a fountain pen. I love to write and journal. How clever to use a Grimm motive! Nothing is more appreciated than a hand written note of thoughtfulness and encouragement. I love writing notes and receiving them–whether they are a “thinking of you”, encouragement or a thank you note. I fear though, that note and letter writing is on its way to becoming lost, I refrain from saying a “lost art” because it is not about a flowery message or beautiful penmanship but an expression from one heart to another. Recently I sent two generous and beautiful baby gifts. The couple thanked me via text messages. Though I appreciate their acknowledgement, we are losing the personal touch of notes. The joy of the written word will never go out of style. Notes from my parents and aunt are treasured Re-reading them brings them close though they are long gone. I’ve started a Canadian card (and tea tuck-in exchange) just so we can keep card/letter writing alive. Since reading the article about fountain pens I’m going to give one a try again as I used to love using one years ago. I continue the tradition of writing hand written letters and notes that my dear grandmother always encouraged me to do. I can still see her at her writing desk holding her fountain pen and the words that spilled out. Lydia — a lovely name — beautifully written comment! I somehow I missed your original post on fountain pens and peacock blue ink. I have just spent a most enjoyable few minutes immersed in memories of pen staffs and assorted nibs & inks that Mother used for making posters for church functions. Her penmanship — printing or cursive — was still lovely ’till the day she died at almost 90. I learned to write long before I went to school with her dip pens. Only much later did I appreciate the fact she probably had to buy many new nibs because she allowed me to share hers when I realized that one should never share pens!! I remembered fondly third grade when we were allowed to use our Schaffer blue ink cartridge pens to write all our work in cursive. We felt so very grow up! One of my college graduation gifts from Mother & Daddy was an engraved Sterling Silver Cross Convertible Fountain Pen — still very much usable. Today, away from home I enjoy using Uni-ball Signo Ultra-Micro 207. Just the other day, a young clerk immediately complemented my “lovely handwriting” when I handed her my handwritten check. While I am no Luddite, I do often wish for more grace-filled times in all our lives. 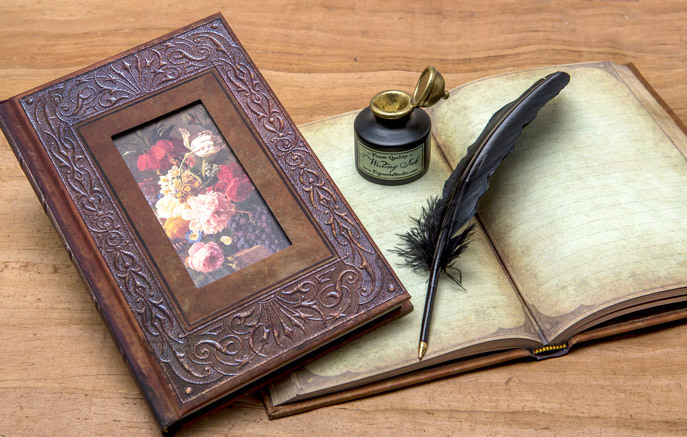 When handwriting a note, I feel a connection to those women in my family who valued not only penmanship but friendships which were and are enriched by taking the time to touch pen to paper. Ah yes, Grace filled time: grace notes and letters. Writing a note, letter, or memory is a way of loving that I never want to give up. Phyllis, in order to share my love of writing poetry with others, I design and create my own handmade cards and write poetry to accompany each card. I have been blessed with many friends and a loving family whose days I brighten with my cards and poetry. I have given each person in my family an attractive box in which to keep the treasure trove of cards they have received over the last decade or two. At the present our young granddaughter is designing her own cards and beginning to write poetry. Writing to others to add a touch of warmth and caring in their lives is so important to me. Each evening I close my day with journal writing, following in my mother’s footsteps. I so enjoyed having her journals to keep me company. Writing is the perfect way to let others know you care! Beautiful–to create memories as well as a place to store them. I too love to send and receive handwritten letters. I love the scratch of a cartridge pen across the paper as it leaves its mark, a simple joy. I have kept most of the letters written to me, especially from my children and grandchildren. Last year I had a health problem that made it hard to walk to the mailbox. I asked my grandchildren to send me letters to give me a reason to get to the mailbox and back. They did and I rejoiced at the treasure discovered after my “journey” to the mailbox. Fortunately I am better but those letters meant more to me than words can express. Thank you Phyllis for your wonderful posts. To write is to create a miracle which can outlast our short lives. The words of Moses, Jesus and others live on not because they were spoken- but because they were written. Writing links heart to hand. It has the power to link foes and friends: change friends to lovers and link lovers in eternity. The power of the written word is instantaneous and eternal. As the word are formed- the writers thoughts are chiseled into his/ her intellect. They spur the imagination forward. I am writing you here and plan to send it handwritten. Your words of inspiration, the joy of a beautifully appointed room or porch, or a tablescape that is so inviting-just know this is making a difference in our lives. You find time to share the most sacred or notable parts of your life while running businesses at the same time. There is no telling what one of your days might look like. This is to be greatly admired. The past year has been a difficult one for me watching my wonderful mother physically deteriorate day by day. Your Ribbon posts helped so much. Your childhood memories parallel mine so I would grab a memory from my treasure chest and savor it or you would show a tablescape or flower arrangement that delighted my soul for a spell. As one of my friends might say “a splash of joy.” I want to say thank you and may God’s blessings continue to flow in you and through you to us. Yes, I agree. receiving email from The Ribbon In My Journal helps to calm to daily onslaught. I love receiving and sending handwritten notes and letters! I’m a “paperholic” who is very selective about lovely writing papers, unique handmade cards, and “just right” pens. It’s my delight to connect, to say “thinking of you” or “thank you,” to send along congratulations or condolences. I’m also a “clipper”–if I see an article or apt quotation or photo that brings someone to mind, I clip it and send it along with a few words of friendship. Writing is a way of sharing the inner self, the heart and soul, in order to send roots down deep into the soil of friendship. What a charming beautiful gift! In my earlier comment, I failed to mention a very important letter writing venture in my life. For nearly fifty years, I have been a member of a group of women who have known one another since high school, but became friends in college. As we began to marry and move away, someone suggested we keep in touch by sending a “round robin” letter. We decided to follow alphabetical order, with each one writing a letter and sending it along to the next in the list (and replacing our old letter in the bundle with a fresh one). It has been lost only three times–and each time we’ve started over. We’ve celebrated births of children and grans, weddings, career changes, buying and selling houses, books, art, travel and successes, as well as the divorce, disease, depression, discouragement, deaths (one of us developed early Alzheimers a few years ago), and failures. We’ve laughed, cried, fussed and encouraged! We’re delightfully different. In recent years we have attempted to have an annual weekend getaway–and we chatter and laugh like the college girls we once were. We are historical friends; we remind one another who we were back then, but we also love one another for who we are now. Our “group” letter continues to make the rounds–and we eagerly anticipate the fat envelope’s arrival. That’s really something, in this day and age. How lovely. Paperholic! I love that. And I hope you never recover! Best regards. I started a Writers’ Guild with some friends about 3 years ago. We call our group “The Inklings.” We meet once a month and we share a writing from a prompt given to us from the hostess from the previous month. The group is more than just about writing. We share life together as we walk through the memories of each other’s lives. What a wonderful idea for a group of friends! Oh! That is a wonderful idea! Writing a handwritten letter or a simple note is a priceless gift. It is virtually of inestimable worth, in every sense, in that aside from the thoughtful selection of stationery monetary value doesn’t come into consideration. Instead, the recipient knows the value of the letter is inherent in the understood time invested in writing. And that thoughtfulness is, indeed, priceless. I have been a long time lover of written and print word. Thank you notes are essential in my life. I have a dresser overflowing with cards that I love to send. The people who receive them tell me often of how it made their day. Their smile makes the effort so worthwhile. Thank you for your blog! I have a small wicker trunk that i have kept for years filled with handwritten letters of all types- love letters, friendship, my children’s drawings & notes etc. it’s lined with a sweet yellow and white gingham fabric and the letters are bunched and tied with special ribbons. I feel loved whenever i glance at it. Ah yes! The love of wicker. I too have wicker: mine is a wicker picnic basket that was my Mom’s. I use it to store my stationery. When I write a letter it becomes an epistle. My letters are never short because I find that I have so much I want to say to the recipient. It’s a visit on paper. And I love to use pretty stationary. I feel that it shows how much I care for the reader. Ah! Your epistles remind me of my sister who lives far away. Yes, epistles are like short visits. Invitation to a birthday party. How sweet is that ? It seems that today, so many use “evites” … and if one does not respond , reminders come via email . There is something about these “evites” that make me cringe … unless it is for a home party ( example – Pampered Chef) . Does anyone else prefer “handwritten invitations” ? Oh yes! I love handwritten invitations and tend to think, perhaps erroneously, that evites don’t “count” in the same way. It is true, though, that a written invitation, in the truest sense of the word, is special. I love receiving and sending hand written invitations, and am known for simple but interesting ones. There’s the tea party invitation written on a paper doily with a tea bag enclosed, or the one to a Christmas cookie exchange enclosing a miniature rolling pin with handles painted red and green. Just a little bit of imagination can make things so much more interesting, and show your guests that you appreciate them enough to take the extra time for a special invitation! Yes, a handwritten note does, indeed, show the recipient that the author of the note took the time to select the stationery and to write with care. I would love to win this beautiful journal. I have always enjoyed putting my thoughts into writing, but since the death of my daughter last December 3, it has become my therapy. Amy was 32, and she died from metastatic breast cancer. My heart is broken, and writing is my outlet for the pain. Thank you for this opportunity. My heart is with you. My sister lost her adult daughter this past year as well. You have reminded me how healing a handwritten note can be. My sister and I have been writing back and forth for years. I’ve kept copies of both my letters to her and hers to me. It’s wonderful to go back and reread the chain of any event. I am a letter keeper as well. My collection of my late mother’s letters over the past 26 years are stored in a pink flowered treasure chest. When my father died 26 years ago I began keeping all of my mother’s letters. Even though she lived within 30 miles we wrote back and forth between our visits. My Mom loved letters. What an awesome treat! Thanks so much for the chance to Win! I, too, hand write all my correspondence. It is something I have always enjoyed doing, and I know it is greatly appreciated.